Vaseline Intensive Care Hand & Nail Cream återfuktar torra händer. 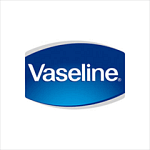 Handkrämen innehåller mikrodroppar av Vaseline® Original som med sina återfuktande egenskaper vårdar torra händer och hjälper till att förebygga spruckna naglar. Aqua, Paraffinum Liquidum, Stearic Acid, Dimethicone, Glycerin, Glycol Stearate, Sodium PCA, Lactic Acid, Potassium Lactate, Urea, Collagen Amino Acids, Tocopheryl Acetate, Retinyl Palmitate, Helianthus Annuus Seed Oil, Sodium Stearoyl Lactylate, Lecithin, Hydrolyzed Keratin, Hydrolyzed Milk Protein, Cyclopentasiloxane, Triethanolamine, Glyceryl Stearate, Stearamide AMP, Cetyl Alcohol, Magnesium Aluminum Silicate, Carbomer, Disodium EDTA, Parfum, Phenoxyethanol, Methylparaben, Propylparaben, Benzyl Benzoate, Benzyl Salicylate, Butylphenyl Methylpropional, Citronellol, Geraniol, Hexyl Cinnamal, Hydroxycitronellal, Hydroxyisohexyl 3-Cyclohexene Carboxaldehyde, Limonene, Linalool.